Free on Saturday 8th July? Join us for a day celebrating the 1950’s at the M&S Archive and their Rock around the Frock event! The 1950s: Glamour came bouncing back and M&S embraced the optimism of the decade bringing new fabrics and the New Look to the high street. Join us for rock’n’roll dance classes, previously unseen 50s fashions, hair and make-up demos and special screenings of our wonderful 1950s cinema adverts – complete with popcorn! This event is free and everyone is welcome, and we’d love to see your own 1950s outfits, so please dress to suit the decade if you’d like to! We’ll be teaching two classes and there’ll be music to dance to in between these. There’s no need to book, just drop in between 11am and 3pm on 8th July. This night keeps getting better and better! This will be the last Jazzy Friday Social so don’t miss out! This Friday we’re hosting a social evening at The Spinning Wheel pub. There will be awesome music, space to dance and drink and chat. You don’t need to be a dancer to come along, it’s a great night out either way. There will be a Solo Jazz class at the start which is open to everyone, no experience or partners required. Learn cool moves like “Boogie Back” the “Suzy Q” and the “Shorty George”. After this there will be good tunes, good people and a good floor to have a great Friday night. The Spinning Wheel is easy to get to, about a 15min walk from the city centre or catch buses 1/2/3, they all stop right next to it and there is also a free car park. After the Success of last Fridays social we’re going to run it again! 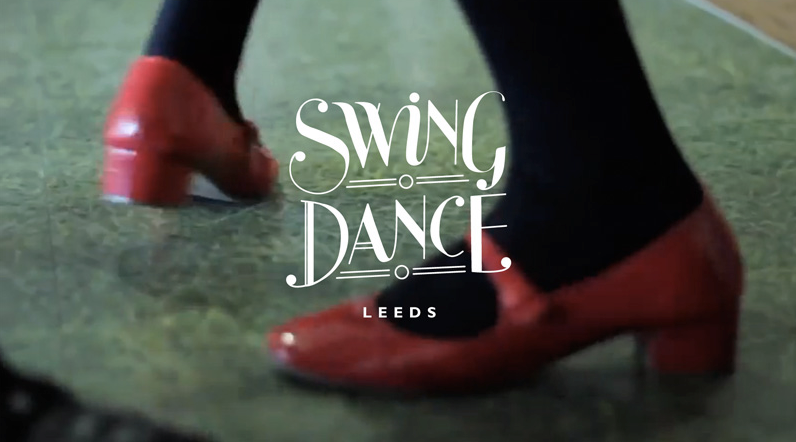 There’ll be rock’n’roll dance classes with Swing Dance Leeds, a display of previously unseen 50s fashions, including those wonderful dresses and special screenings of our fantastic 1950s cinema adverts… complete with popcorn! All this as well as refreshments with a picnic theme… this is one not to miss! This event is free and everyone is welcome, and we’d love to see your own 1950s outfits, so please dress to suit the decade if you’d like to! Dance classes will take place at 11.30am and 1.30pm. The Future Sounds of Swing is a fantastic full weekend of Lindy Hop and Blues classes with international teachers and 4 live bands and more! And all from just £40! Registrations for the weekend are now open!